Even though it is a dreary day here on the Gulf Coast, I am already thinking of Spring and getting excited about some warmer weather! I am a true Florida girl who thinks anything under about 70 degrees is “freezing” and I am looking forward to days of going barefoot instead of fuzzy socks and house slippers! 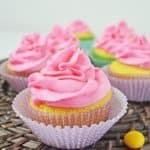 In an effort to help will Springtime to get here, I baked up these brightly colored cupcakes with a hidden surprise inside! 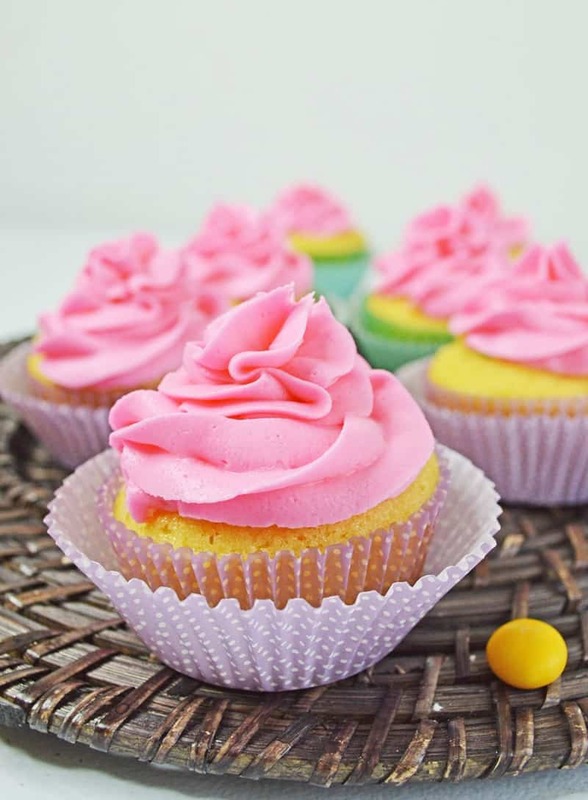 But these are not just your typical brightly colored cupcakes. 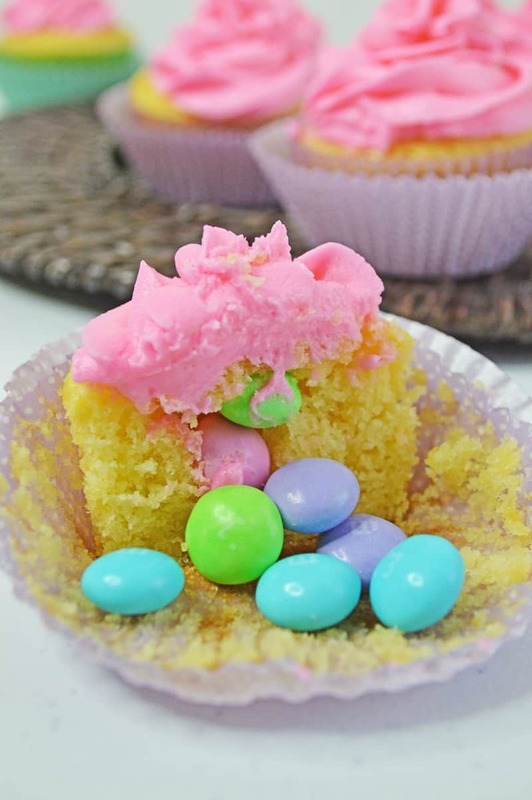 To make these cupcakes even more fun I filled them with Spring M&Ms – a family favorite. What could be better than a light fluffy cupcake – with surprise chocolates inside?! In another bowl, cream together butter and sugar until fluffy. Fill cupcake liners 2/3 full. Bake 18-20 minutes. Allow cupcakes to cool. Meanwhile, in a large bowl, mix together butter and powdered sugar, add vanilla and food coloring, mix again. Add milk slowly until frosting is the perfect consistency.